Does Heat And Color Treatment Degrade Quality Of Cat’s Eye Stone? A natural cats eye stone appears dull and colorless because they are mined from old rocks or dense forest. The size of natural or real Chrysoberyl is extremely large which need to be subsidized in order to use it for wearing purpose. 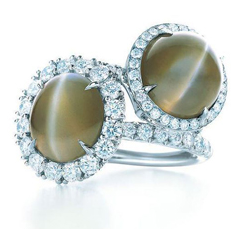 Originally, the cat’s eye stone is discovered from mines of India, Sri Lanka, Africa, Australia, and Tanzania. The excavated stones are big and dull in appearance, thus they are brought in gem laboratories where different treatments are performed over these gemstones in order to make them look attractive and usable. However, it is being rumored about treatments that it destroys or deteriorates the quality of the stone. To an extent, it is true, however, nowadays it is impossible to name out a stone which has not received any treatment. A cat’s eye stone perceives different treatments such as heat treatment, color treatment, and inclusions. Heat treatment is basically performed on cat’s eye to dispel all the impurities from the stone. A mined stone naturally contains a lot of inclusions which can prove harmful to the stone. Hence, in order to improve the overall appearance of cats eye stone, it is heated up to a high temperature. Nonetheless, while heating a gemstone it should be kept in mind that overheating a gemstone can wash away the useful properties of it. Therefore, this stone is heated while preserving the quality of the stone. The cats eye gemstone is generally found in many colors. But, when it is discovered, it looks dull and unattractive thus, it becomes extremely pivotal to enhance the color properties of this stone by performing several color treatments on the stone. While doing so, one thing which a person should keep in mind that does not go overboard while performing color treatment because doing so will destroy the qualities of the stone. Besides the above two treatment cat’s eye stone undergo several other treatments to enhance the overall appearance of the stone. A person should in advance know one fact that most of the gemstones on the market perceive some kind of treatments. Whereas some perform treatment with the intent of enhancing the value of the gemstone, on the other hand, some gem dealers perform treatment with the intent of making money. One should know how to distinguish between these two and give prime importance to the one who sells quality cat’s eye stone.